Entry level aluminium racing bike with full carbon forks representing excellent value for money, weight ca. 8.2 kg. 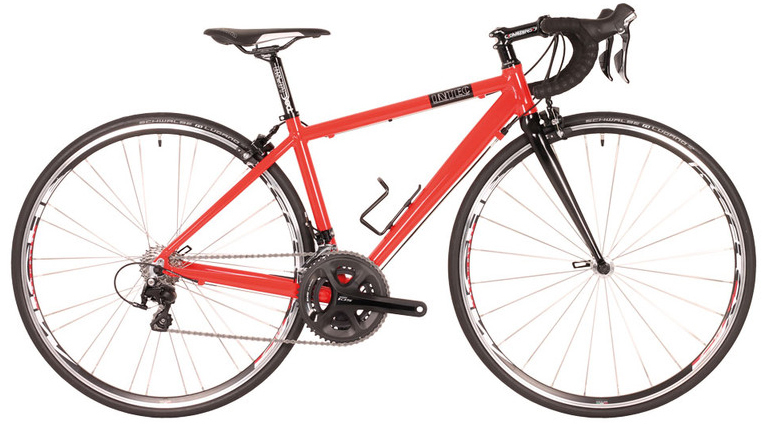 Proper kid's aluminium racing bike with correct gearing and 24" wheels for the Masters Of Tomorrow, weight ca 8.9 kg. Crank length 145 mm and Campag XENON 9 speed brake/shift levers with short reach. Inside leg measurement from 650 mm. 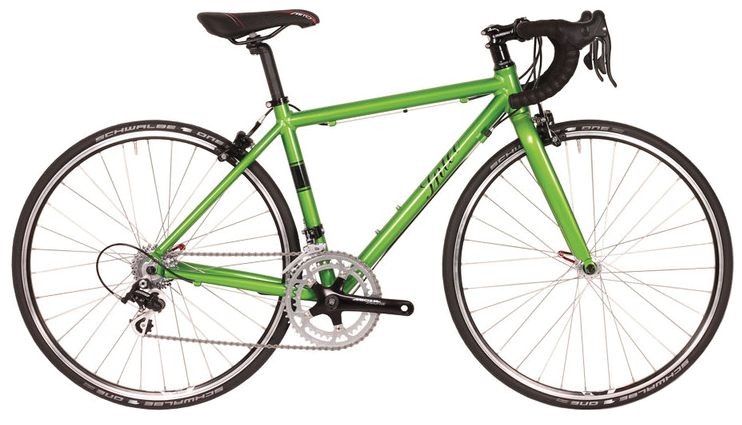 Fork: ALU A-Head 1 1/8"
Apple Green as standard, other colours at surcharge. 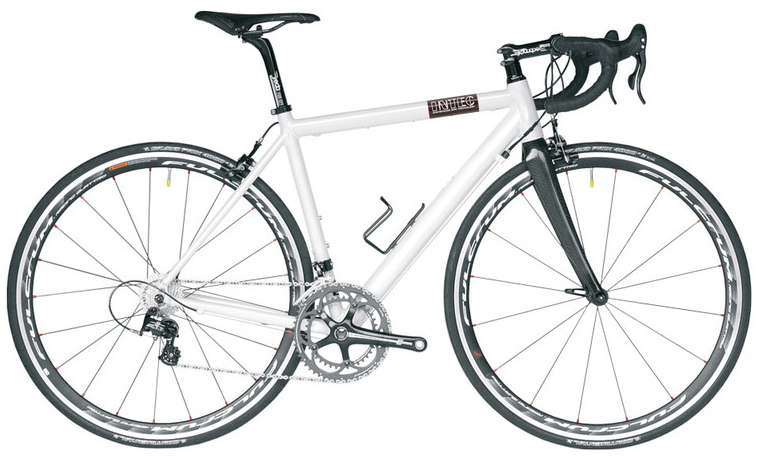 Top level aluminium racing bike with 700C wheels for small riders, weight ca 8.5 kg. 420 mm frame size for inside leg length from 700 mm.